Mango will automatically check for new updates each day and notify you on the Modules page displaying the number of modules that can be upgraded. New features and bug fixes are being released regularly so it's good to check here often. There is also an event triggered when new upgrades are available which you can configure to send you an email notification. On the Administration > Modules page you can click the Check for upgrades button to automatically check or you can do an Offline upgrade if your server does not have internet connection. For the offline upgrade download the Module manifest file and use it at https://store.infiniteautomation.com/account/manualUpdate to download your offline updates files. After you click the Check for upgrades button you will see a list of upgrades and modules available for installation. 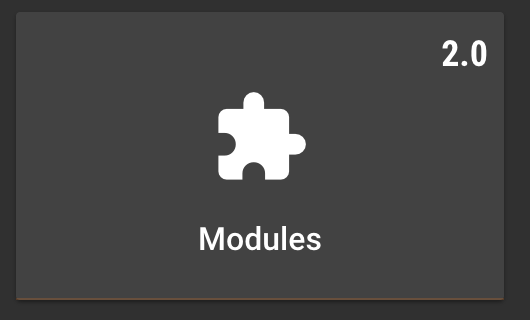 Select the Modules to upgrade and click the Upgrade/Install button to download and install the modules. Mango will shut down and restart to complete the process. It is recommending that you read the release notes for every upgrade before preforming to insure it won't cause any changes with your Mango configuration. Note: It is recommending that you read the release notes for every upgrade before preforming to insure it won't cause any changes with your Mango configuration. Use caution when installing any new modules. Be sure you know what they are before you install them. If your current version is less than 2.5.2 you can follow the manual instructions below. Note for Windows users: If you are running a Mango version prior to 2.6 on Windows using the /bin/ma-start.bat file you need to first download the following two file and place into your MA_HOME/bin/ folder overwriting the files there. What if I didn't get the new ma-start.bat and upgrade.bat before I attempted to upgrade? Not to worry. You can recover from this mistake. The result of this mistake will likely be you will still see your old version of Mango when you go to the Modules page and most or none of your modules will appear. Note: If you are running Windows as a service first install the two files above and then do the upgrade but use the advanced option to NOT restart Mango. After all the files are downloaded stop the Mango service and start Mango once using the ma-start.bat file. Make a full backup of the MA_HOME folder and database. If using MySQL do a msql dump to backup the database. Download and unzip the Mango Automation 2.X.X zip file into the MA_HOME folder overwriting the existing files. Start Mango and verify the upgrade. Note: Some users upgrading from 2.4.2 using a H2 database may get an error stating wrong username and password for the h2 database. To correct this edit the env.properties file and set the H2 database username and password to blank.